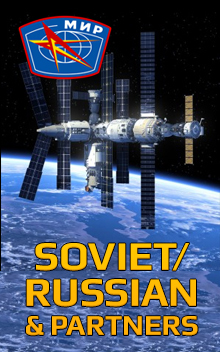 Official Mission Insignia decal for the Soyuz TMA-09M flight. Soyuz TMA-09M was a Russian Soyuz mission to the International Space Station. 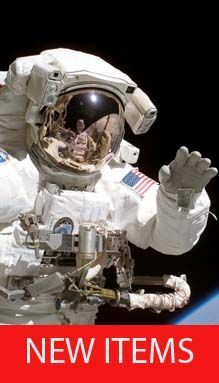 It transported three members of the Expedition 36 crew to the space station. The Soyuz remained docked to the space station during Expeditions 36 and 37 to serve as an emergency escape vehicle. The spacecraft landed on 11 November 2013, carrying the same three cosmonauts who were aboard for launch. 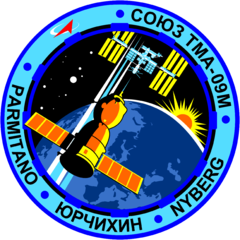 The crew of Soyuz TMA-09M consisted of Fyodor Yurchikhin of Roscosmos, Karen Nyberg of NASA and Luca Parmitano of the European Space Agency.